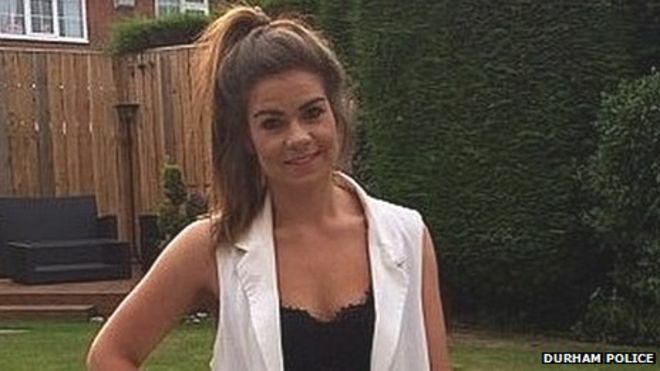 The family of a British teacher who died on a dream holiday in Cancun still have “a million unanswered questions” about her death, after an inquest in her home town heard she was found dead on the roadside with no valuables. Alix Bussey, 23, died after she was hit by a car on Boulevard Kukulcan in Cancun at around 5 a.m. on April 11, 2015. Her body was found 15km away from the Coco Bongo nightclub where she had been out with her boyfriend, and several miles from the couple’s hotel, with no clues as to how they got there. Alix’s boyfriend of two years, Jonathan Boyle, told her inquest he was woken up on the roadside by a police officer and all his valuables had disappeared, suggesting the pair had been robbed. He said: “I woke up. I remember the police officer patting my legs, I was on the opposite side of the road. He led me over to Alix’s body then took her away in an ambulance and I went in the police car. The IT worker told Wednesday’s hearing in Crook that Alix had taken a handbag with both of the couple’s IDs, cash and iPhones on the night out in Cancun’s hotel strip. Alix also wore an designer watch and a silver necklace which were never found.